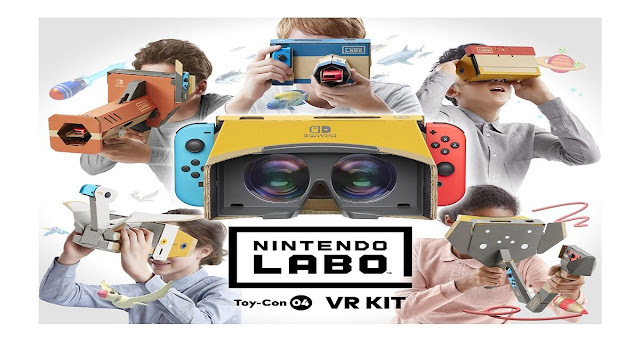 Soon the Toy-Con VR Goggles from the Nintendo Labo: VR Kit will allow you to enjoy bonus experiences for two of the most popular Nintendo Switch games in a whole new way! On April 25, free software updates for the Super Mario Odysseyand The Legend of Zelda: Breath of the Wild games will add compatibility with the Toy-Con VR Goggles from the Nintendo Labo: VR Kit, giving owners of the software some simple and fun bonus experiences to enjoy. In Super Mario Odyssey, you can play three new mini-missions in three familiar kingdoms. You can also experience the adventure of The Legend of Zelda: Breath of the Wildlike never before by exploring the vast world of Hyrule with VR visuals and gyro functionality.